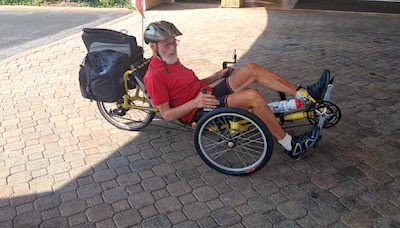 Recumbents by National Bicycle Greenway : 90-Year Old Rides Trike Kentucky to Florida, 930 miles, in 21 Days! 90-Year Old Rides Trike Kentucky to Florida, 930 miles, in 21 Days! rode his recumbent from Louisville to Florida - 930 miles in 21 days.